Gertrude Schildbach was born in Germany. She joined the German Communist Party and worked as an agent for Ignaz Reiss, the NKVD officer based in Berlin. Reiss's wife, Elsa Poretsky, described her as "particularly unattractive, with a short, squat body, an over-sized head, glasses with very thick lenses and blackened, protruding teeth." 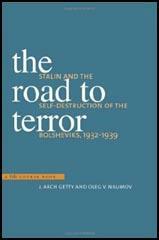 According to Gary Kern, the author of A Death in Washington: Walter G. Krivitsky and the Stalin Terror (2004): "Devoted to the couple and their son Roman, whom she used to baby-sit and take to the movies, Schildbach was incapable of holding a regular job, invented all sorts of fanciful and romantic stories about herself and turned to Ignace when in trouble." In 1937 Reiss became disillusioned with events in the Soviet Union. He was especially upset when he heard that NKVD agents recalled to Moscow were being executed. Richard Deacon, the author of A History of the Russian Secret Service (1972) has pointed out: "Ignace Reiss suddenly realised that before long he, too, might well be next on the list for liquidation. He had been loyal to the Soviet Union, he had carried out all tasks assigned to him with efficiency and devotion, but, though not a Trotskyite, he was the friend of Trotskyites and opposed to the anti-Trotsky campaign. One by one he saw his friends compromised on some trumped-up charge, arrested and then either executed or allowed to disappear for ever. When Reiss returned to Europe he must already have known that he had little choice in future: either he must defect to safety, or he must carry on working until he himself was liquidated." In July 1937 Ignaz Reiss received a letter from Abram Slutsky and was warned that if he did not go back to Moscow at once he would be "treated as a traitor and punished accordingly". It was therefore decided to defect. Elsa rented a house in Finhaut, a picturesque village in southern Switzerland, just over the border from France and Ignaz took a room in a Paris hotel. Reiss also received a letter from Gertrude Schildbach. At the time she was living in Rome and she asked if she could see Reiss. He agreed and then went to a meeting with Henricus Sneevliet in Amsterdam. Sneevliet later told Victor Serge and his fellow Trotskyists that "Ignace Reiss was warning us that we were all in peril, and asking to see us. Reiss was at present hiding in Switzerland. We arranged to meet him in Rheims on 5 September 1937." Reiss wrote a series of letters that he gave in to the Soviet Embassy in Paris explaining his decision to break with the Soviet Union because he no longer supported the views of Stalin's counter-revolution and wanted to return to the freedom and teachings of Lenin. "Up to this moment I marched alongside you. Now I will not take another step. Our paths diverge! He who now keeps quiet becomes Stalin's accomplice, betrays the working class, betrays socialism. I have been fighting for socialism since my twentieth year. Now on the threshold of my fortieth I do not want to live off the favours of a Yezhov. I have sixteen years of illegal work behind me. That is not little, but I have enough strength left to begin everything all over again to save socialism. ... No, I cannot stand it any longer. I take my freedom of action. I return to Lenin, to his doctrine, to his acts." These letters were addressed to Joseph Stalin and Abram Slutsky. Mikhail Shpiegelglass was instructed to organize the assassination of Reiss. 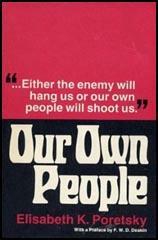 According to Edward P. Gazur, the author of Alexander Orlov: The FBI's KGB General (2001): "On learning that Reiss had disobeyed the order to return and intended to defect, an enraged Stalin ordered that an example be made of his case so as to warn other KGB officers against taking steps in the same direction. Stalin reasoned that any betrayal by KGB officers would not only expose the entire operation, but would succeed in placing the most dangerous secrets of the KGB's spy networks in the hands of the enemy's intelligence services. Stalin ordered Yezhov to dispatch a Mobile Group to find and assassinate Reiss and his family in a manner that would be sure to send an unmistakable message to any KGB officer considering Reiss's route." Reiss now joined Elsa Poretsky in Finhaut. According to Elsa his hair had turned white during the ten days he had been hiding in France. After several days he showed his wife a copy of the letter he had sent to Stalin. She now realized that "our world was gone forever, we had no past, we had no future, there was only the present." They had no income and nowhere to go. They also had no legal status anywhere. Reiss wrote to Henricus Sneevliet and suggested a meeting in Reims on 5th September. He also contacted Gertrude Schildbach and arranged to see her at a cafe in Lausanne. According to Gary Kern, the author of A Death in Washington: Walter G. Krivitsky and the Stalin Terror (2004): "They found Schildbach unusually well dressed and full of stories about a rich industrialist she was going to marry, stories which they took with a dash of salt. They sat by a window, Elsa beside her and Ignace across, as she chattered nervously about her urgent matter - her desire to defect. Ignace advised her to get in touch with the Trotskyists." Elsa returned to their home in Finhaut and Reiss planned to take the train to Reims to meet Sneevliet. Victor Serge later wrote: "We arranged to meet him in Reims on 5 September 1937. We waited for him at the station buffet, then at the post office. He did not appear. Puzzled, we wandered through the town, admiring the cathedral... drinking champagne in small cafes, and exchanging the confidences of men who have been saddened through a surfeit of bitter experiences. "Ignaz Reiss and Gertrude Schildbach went for supper outside of town. They left the restaurant and set off on foot. A car pulled up bearing two NKVD agents, Francois Rossi and Etienne Martignat. One was driving, the other - holding a machine-gun. Reiss was shot seven times in the head and five times in the body. The assassins fled, not bothering to check out of the hotel in Lausanne. They abandoned the car in Berne. The police found a box of chocolates, laced with strychnine, in the hotel room. It is believed these were intended for Elsa and her son Roman. Schildbach was arrested in December, 1938. She received a sentence of eight months' imprisonment for her involvement in the crime. On her release she moved to the Soviet Union. It is believed that she was sent to a prison camp where she died. The case of Ignaz Reiss, whose real name was Poretsky, was the first to come to Orlov's attention towards the end of July 1937. Reiss was the KGB illegal rezident in Belgium when he was summoned back to Moscow. Reiss had the advantage of having his wife and daughter with him when he decided to defect. In July of that year, he sent a letter to the Soviet Embassy in Paris explaining his decision to break with the Soviet Government because he no longer supported the views of Stalin's counter-revolution and wanted to return to the freedom and teachings of Lenin. Orlov learned the details of Reiss's letter and decision to defect through his close contacts at the Soviet Embassy in Paris. He would later learn the conclusion of the matter through the same source. On learning that Reiss had disobeyed the order to return and intended to defect, an enraged Stalin ordered that an example be made of his case so as to warn other KGB officers against taking steps in the same direction. Stalin reasoned that any betrayal by KGB officers would not only expose the entire operation, but would succeed in placing the most dangerous secrets of the KGB's spy networks in the hands of the enemy's intelligence services. Stalin ordered Yezhov to dispatch a Mobile Group to find and assassinate Reiss and his family in a manner that would be sure to send an unmistakable message to any KGB officer considering Reiss's route. The task was of such a high priority that Yezhov placed his Deputy Chief of the INO, Mikhail Shpiegelglass, in charge of the Mobile Group that was to locate and liquidate Reiss and his family. Shpiegelglass was able to discover that Reiss had fled Belgium and was hiding in a village near Lausanne, Switzerland. Shpiegelglass enlisted the aid of a trusted Reiss family friend by the name of Gertrude Schildback, who was in the employ of the KGB, to lure Reiss to a rendezvous, where the Mobile Group riddled Reiss's body with machine-gun fire on the evening of 4 September 1937. His body was found by Swiss authorities on a road outside Lausanne. Reiss's wife and daughter were spared, although it became clear that they had been intended to be victims of a box of chocolates that had been laced with strychnine poison. In her great haste to retreat from the scene of the crime, Schildbach had left behind her luggage at the small hotel where she was temporarily staying. During the course of their investigation, the Swiss police found the box of chocolates. Orlov speculated that Schildbach had neither the time nor the opportunity to give the chocolates to the intended victims, or, more probably, that she did not want to carry forth the murder plot. As a family friend, she had often played with the Reiss child and the bond that had developed with the child was more than likely the factor which caused her to renege on this part of the plot. Meanwhile Reiss, using a Czech passport in the name of Hans Erhardt, had disappeared to Switzerland, leaving his wife and child in Paris. Laboriously the Soviet man-hunt team went into action: Swiss agents were ordered to keep a look-out for Reiss, while others trailed his wife and child. It was not long before Elisabeth Poretsky was discovered travelling to Switzerland where she was tracked down to a hotel in Montreux. It was at this stage that the Soviet Intelligence brought into action a Swiss teacher named Renata Steiner who had joined the Swiss Communist Party as a student and, following an Intourist visit to Russia in 1934, had been enrolled as a minor agent. Two years later she returned to Moscow and was given full-time work in Soviet Intelligence, being sent to join the French network in a cover job in an antique shop in Paris. The shop was used as a clearing-house for information. Renata Steiner was employed with discretion; she was often given assignments without being allowed to know their true purpose. Thus, when she had been ordered to shadow a Monsieur and Madame Sedoff, she had no idea that M. Sedoff was the son of Trotsky, and that he had been marked down by Konradyev's organisation for assassination. Having shadowed the Sedoffs to Switzerland, she reported to her superiors that Ignace Reiss had contacted Sedoff. The discovery that Reiss was probably actively conspiring with Trotskyite circles caused the Soviet to redouble their efforts to locate and then liquidate him. Renata Steiner was assigned to Efron's organisation and succeeded in tracing Reiss to a village in the Alps. She was then ordered to trace Ignace's wife. On 5 September 1937 a saloon car was noticed to be parked in the Boulevard de Chamblandes in Lausanne. Inside it was found the body of a man riddled with machine-gun bullets. In his pocket was the passport of "Hans Erhardt, of Prague". The Swiss police were baffled because they had no record of "Hans Erhardt". It was only when Ignace Reiss's widow called on them and said she was afraid the murdered man was her husband and formally identified the body that they realised a Soviet murder gang was operating in their midst. It was then that Renata Steiner walked into a trap. She had been told to hire the car in which Reiss's body had been found and had paid the deposit on it. When she failed to trace Madame Poretsky and could not establish contact with her superiors she foolishly went to the garage to find out what had happened to the car she had ordered. The Swiss police were waiting for her. Renata Steiner, not having read the papers, or learned of the murder of Reiss, could not at first understand why she was being interrogated. Even the Swiss police were quickly convinced that she was just a dupe of the killers and had no knowledge of the plan to murder Reiss. Nevertheless she was arrested, closely questioned, tried as an accomplice, receiving a sentence of only eight months' imprisonment. Someone in Soviet Intelligence blundered badly in not ordering Renata Steiner to leave Switzerland and to stay out of the country the moment she had ordered the car from the garage. In fact there appeared to be conflicting orders, for Abyatt had instructed her to return to Paris at once, but another Soviet agent in Paris then told her to go back to Berne. When she was not contacted by her network she should have guessed something had gone wrong, but inexperience led her straight into a police trap. Ignace Reiss had been liquidated, but at serious cost to at least two networks just because a vital witness had been allowed to fall into the hands of the police. Elisabeth Poretsky stated that "they left behind a witness who could identify them all and reveal the well-guarded secret that White Russian organisations were used in the services of the Soviet Union. The killers themselves got away." None of them was ever caught, though intensive inquiries were made by the French police. But intelligence services of Europe were now alerted to the fact that many Russians calling themselves "White", anti-Bolshevik or pro-Czarist were now actively working for the Soviet Union. Either by blackmail, threats to relatives, or through sheer lack of money they had been ensnared not merely into the ranks of Soviet Intelligence but had been used as an expendable squad of killers of their fellow-countrymen, perhaps the basest form of treachery of all. We had spent many strenuous weeks with Helen (Elizabeth Zarubina) when toward the end of August we had a chance to go to Martha's Vineyard with some friends. We had been there not more than a few days when Helen called Paul Massing to come to New York. It was disturbing, but there was little else I could do but to let him go. Two days passed. On the third day he returned and as I saw him standing on the ferry boat I knew that he had brought bad news. His face was tight, set, and he did not wave to me. "Paul?" and before I could say another word - "Ludwig (Ignaz Reiss) is dead. He has been killed!" He did not know any of the hideous details of Ludwig's death at the time. He had rushed back to me in fear that I might read about it in the papers. He wanted to be with me when that happened. It was a horrible shock. We walked along the beach, through the sand dunes for hours and hours. We had lost Ludwig. "How do you know, Paul?" I asked. "Helen told me." "What did she say? Who did it?" He did not answer. He just looked at me. There was such a tragic sadness in his eyes that I stopped asking questions. He held me all night in his arms, as if to save me from the onslaught we felt inevitable. I could not get him to tell me of his conversation with Helen. Toward dawn he said, "Do you realize that Ludwig's death means immediate danger for us?" We went early in the morning to Vineyard Haven, and from there to Edgartown to buy all the papers we could possibly find on the newsstands. But it was some time before the story broke. The accounts were contradictory in minor details only; whether he had been killed by a submachine gun or an automatic pistol, whether he had five bullets in his head and seven in his body, or vice versa. But that he had fallen into a trap and been shot from behind was confirmed by all the papers in Switzerland and France. On the night of September fourth, the body of an unknown man of about forty, riddled with machine gun bullets, was found on the road that led from Lausanne to the Chamblandes. There were fifteen bullets in his body. A strand of gray hair was clutched in the hand of the dead man. He was found by Max Davidson, a candy manufacturer. In his 'pocket was a passport in the name of Hans Eberhardt. Police investigation checked his passport, which had been made out to a man born March 1, 1899, in Komotau, Czechoslovakia. It contained a French visa. He had registered as H. Eberhardt at the Hotel Continental as a businessman on a trip from Paris. The passport was forged. On the theory that this was a political murder, they began checking their files and found that, in fact, the dead man was Ignace Reiss, thirty-nine, Polish born, former GPU agent, who had been attached to GPU outfits in Holland, Switzerland, Great Britain, and France - and in 1928 had been decorated by Stalin with the order of the Red Flag. An abandoned American-made automobile in Geneva led to the identification of two mysterious guests, a man and a woman, who had registered on September 4th at the Hotel de la Paix in Lausanne, and had fled without their baggage and without paying their bill. 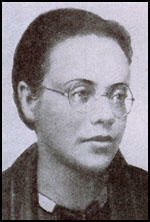 The woman was Gertrude Schildbach, a German Communist, a resident of Rome. She was a GPU agent in Italy. The man was Roland Abbiat, alias Franqois Rossi, alias Py, a native of Monaco, and one of the Paris agents of the GPU. Among the effects left by Gertrude Schildbach at the hotel was a box of candy containing strychnine. Schildbach had been an intimate friend of the Reiss family, and frequently played with Reiss's child. She had lacked the force necessary to give this poisoned candy to his family, as she had been directed to do by Spiegelglass, the GPU agent in charge of the liquidation of Reiss. Gertrude Schildbach had been wavering politically since the beginning of the purge, and she could plausibly play the part of one ready to join Reiss in breaking with Moscow. Reiss had known of her waverings and trusted her. He took her to dinner in a restaurant near Chamblandes to discuss the situation. At this point, the papers differ. Some say that Reiss and Schildbach went for a little walk after dinner. They wandered off into an obscure road. A car appeared, came to a sudden stop. Several men jumped out and attacked Reiss. He fought the attacking band, but with the aid of Schildbach, whose strand of hair was found in his clutch, they forced him into the car. Here Abbiat-Rossi and Etienne Martignat, both Paris GPU agents, fired a submachine gun at Reiss. His body was thrown out of the car. The other version was that two days after he was murdered, a car containing a blood-soaked overcoat was found in front of the Geneva-Cornavin railroad station. Police learned that the car had been rented by a young girl who was identified as Renate Steiner, twenty-nine, Swiss-born Sorbonne student, who worked for the GPU, shadowing persons under suspicion. She made a full confession. She had trailed him through Holland, France, and Switzerland, finally locating him in Lausanne. She telephoned phoned Paris and they sent Gertrude Schildbach. While Reiss was dining with Schildbach, Renate Steiner appeared in the restaurant, accompanied by Vladimir Kondratieff, a White Russian and the killer of Reiss. Kondratieff was unemployed and a member of Eurasia, a Czarist society. This is the very same organization that sent out a certain M. Kovalev to catch Alexander Barmine, the Soviet diplomat, after he had fled the Russian service. Steiner and Kondratieff suggested a drive after dinner in the car that the Steiner girl had hired. Reiss sat beside her, Schildbach and Kondratieff in the rear. Kondratieff killed Reiss during the drive and the trio dumped the body on the roadside where it was found. Renate Steiner, who had been in the GPU service since 1935, and had previously shadowed Sedov, the son of Trotzky, was apprehended by the police, and confessed to her share of the crime. She helped the authorities to solve it. That is the story of Ludwig's death, as we learned it from the newspapers. When Paul and I regained our composure enough to be able to talk about it, we could not stop wondering how so extremely clever and careful a man could have fallen into such a trap. The very man who had taken such pains to introduce me to the principals of conspiracy, of checking and re-checking before any action, any meeting, anything! The man who cautioned Paul time and again to be careful in trusting any of the Nazis who professed sympathies with us; never to go to an appointment with anybody without safety measures, meaning with one or two body guards. How could he have gone alone to this meeting with Schildbach?! "He probably had no one to go with him," Paul thought. "But why did he go at all?" I asked. "He had to go. He thought that this woman needed help to make up her mind one way or the other; and he felt that she was his responsibility. As a security measure he did not take his wife,'Else, along and he probably had no one else to go with." After a while, Paul said, "Once you leave the fold, you are quite alone. From the one-time Chief of the ! whole Western Intelligence Service in Europe it was but a quick transformation to a lonely man, killed by a 'friend' in a car and thrown out on a road-like a leper! After a life of devoted revolutionary service! A life of danger and sacrifice.